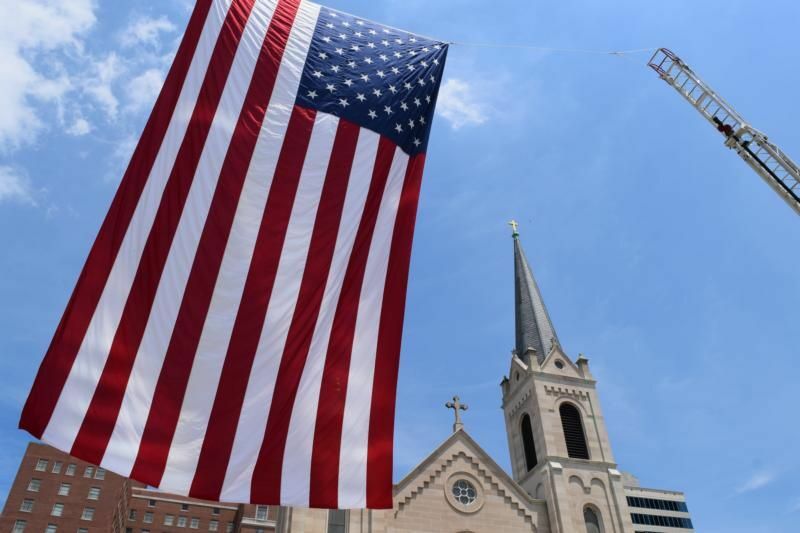 What is the role of the Catholic citizen in a representative democracy as it is practiced in the United States? As we vote for and elect men and women to represent us in the governmental decision-making process, we rarely have the opportunity to vote directly on a piece of legislation. Decisions are being made in our name and with our tacit consent unless we take an active role in shaping the political process. Jesus is clear here that his followers have an obligation to participate in civil society at the same time they are faithful disciples. The Catechism of the Catholic Church offers a great deal of guidance as to how Catholics should engage with the governing process. It begins by saying that government is necessary in order for human society to be prosperous and well ordered. This passage also notes that the role of government is to “care for the good of all” (No. 1897). The catechism points out that governments derive their moral authority from God and that citizens have the duty to obey, honor and respect those in position of authority — provided that they “serve the legitimate good of the communities that adopt them” (No. 1901). A government is considered to be legitimate if it acts “for the common good as a ‘moral force based on freedom and a sense of responsibility,'” (No. 1902) and “it employs morally licit means to attain it” (No. 1903). When a people are faced with “unjust laws” or governmental actions “contrary to the moral order,” they are not bound in conscience to obey the laws or the government and are encouraged to work to change the law and/or the government (No. 1903). According to the catechism, Catholics have a moral obligation to be active in the governing process and to inform their consciences as to whether the values of a candidate — their judgments and decisions — are guided by the “inspired truth about God and man” (No. 2244). But the responsibility does not end with casting a vote. Catholics are encouraged to be active participants through the legislative process, to speak out for or against legislation that is being considered, or about how the legislation is put into force. What is important to keep in mind here is that Christians are called to be people of faith first and citizens second. Our first obligation is to God. As the catechism puts it, “Christians reside in their own nations, but as resident aliens. They participate in all things as citizens and endure all things as foreigners … their way of life surpasses the laws” (No. 2240). Whom you vote for in any election is a decision you make after forming your conscience, guided by the teaching of the church. That you vote is a hallmark of a faithful Catholic citizen.